In an optimization problem, a coreset can be defined as a subset of the input points, such that a good approximation to the optimization problem can be obtained by solving it directly on the coreset, instead of using the whole original input. In machine learning, coresets are exploited for applications ranging from speeding up training time, to helping humans understand the fundamental properties of a class, by considering only a few meaningful samples. The problem of discovering coresets, starting from a dataset and an application, can be defined as identifying the minimal amount of samples that do not significantly lower performance with respect to the performance on the whole dataset. Specialized literature offers several approaches to finding coresets, but such algorithms often disregard the application, or explicitly ask the user for the desired number of points. 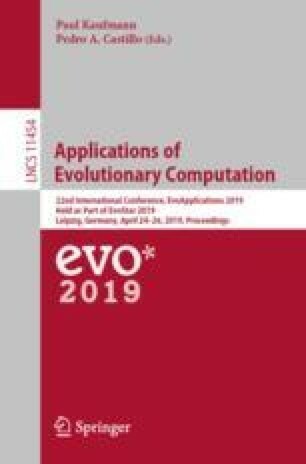 Starting from the consideration that finding coresets is an intuitively multi-objective problem, as minimizing the number of points goes against maintaining the original performance, in this paper we propose a multi-objective evolutionary approach to identifying coresets for classification. The proposed approach is tested on classical machine learning classification benchmarks, using 6 state-of-the-art classifiers, comparing against 7 algorithms for coreset discovery. Results show that not only the proposed approach is able to find coresets representing different compromises between compactness and performance, but that different coresets are identified for different classifiers, reinforcing the assumption that coresets might be closely linked to the specific application.